Today, we take it for granted that stress and disease are linked and that psychological stress, social networks and socioeconomic status impacts infections, cardiovascular disease and asthma. Much of what we know about these connections between biology and psychology is because of Carnegie Mellon University’s Sheldon Cohen. To recognize Cohen for sustained career contributions to our understanding of the role of behavior in physical health, the American Psychosomatic Society (APS) has named him the 2018 Distinguished Scientist. The award also honors how his work has inspired countless scientists and scholars. A member of the National Academy of Medicine, Cohen, the Robert E. Doherty University Professor of Psychology in the Dietrich College of Humanities and Social Sciences, investigates the effects of behavioral factors in immunity and physical disease. His work includes pioneering research on the impact of psychological stress, social networks and socioeconomic status on infections, cardiovascular disease and asthma. He has contributed several scales assessing psychological and social predictors of health, including the Perceived Stress Scale (PSS), the most widely used scientific tool to measure the perception of stress. “As a founder of the field of health psychology, Sheldon is richly deserving of this honor. His seminal research and vision is an important example of how the science of psychology can have a positive real-world impact,” said Michael J. Tarr, head of the Department of Psychology and the Trustee Professor of Vision Science. Cohen has been on the CMU faculty since 1982. He was the first to provide scientific evidence that stress increases susceptibility to the common cold. His systematic work in this area has demonstrated that the longer a stressful event lasts, the greater the risk for illness and that enduring interpersonal conflicts and stress at work are especially potent risks. He has demonstrated that the biological bases for these findings include the effects of stress on the body’s ability to control the release of inflammatory chemicals, and stress associated shortening of telomeres (caps on the ends of chromosomes) in immune cells, that indicate progression to cell death. Other noteworthy findings include people who sleep fewer than seven hours a night are nearly three times more likely to catch a cold; children of lower socioeconomic status grow up to be more susceptible to colds; those with diverse social networks (friends, family, group memberships); those who regularly report being in a positive mood are less likely to get a cold when exposed to a cold-causing virus; hugs help protect against stress and infection; and children of separated parents who were not on speaking terms are more likely to develop colds as adults. “Sheldon was a thoughtful and supportive mentor to me as a new assistant professor, and he has mentored countless others in the field. It’s great to see his contributions recognized with this career award,” said David Creswell, associate professor of psychology who nominated Cohen for the award. In addition to all of his research, Cohen teaches at both the undergraduate and graduate levels at CMU—and has called it one of his favorite parts about his job. “Our undergraduates are a joy to teach. They are excited about science and often surprise me with their insights. My graduate students and post docs have been colleagues as well as students. Most go on to do work that makes me proud that they were trained at Carnegie Mellon,” Cohen said. Among his numerous awards and honors, Cohen received the American Psychological Association’s Award for Distinguished Scientific Contributions to Psychology in 2004 and in 2002 the Association for Psychological Science James McKeen Cattell Fellow Award for Outstanding Lifetime Contribution to Research in Applied Psychology. He was named one of the 100 Extremely Eminent Psychologists of the Modern era and has received other top psychology professional awards. He is one of few psychologists to frequently publish in mainstream medical journals, such as the Journal of the American Medical Association (JAMA) and the New England Journal of Medicine (NEJM). 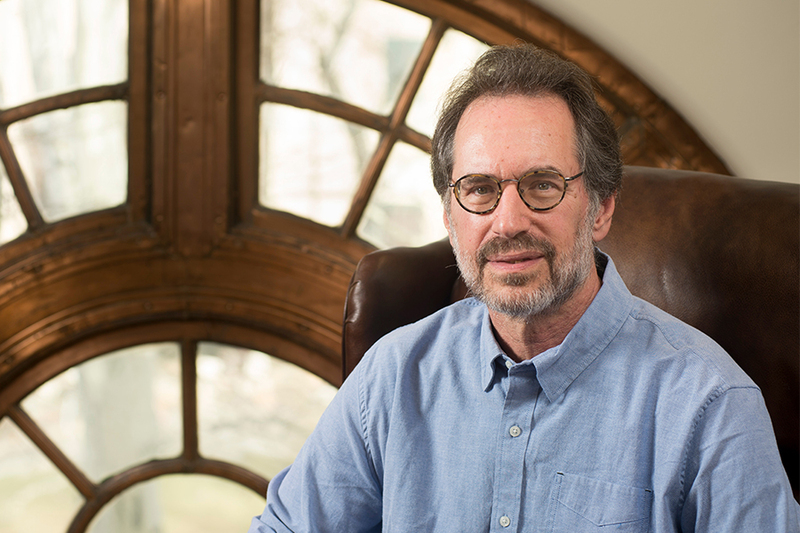 Cohen will be presented with the 2018 APS Distinguished Scientist Award March 7-10 in Louisville, Kentucky, where he will also give a keynote address.